2015 was a big year for mobile. There were so many great games, especially in the adventure and puzzle genres. I couldn’t possibly play through all of them, so there are likely some hits that I missed. But based on the ones I did play, these were my favorites. Other than Her Story, these aren’t in any particular order. You can find my reviews by clicking on each game’s title. It was also a big year for AppUnwrapper.com, as I started making YouTube videos alongside my reviews and walkthroughs. I also finally got an iPad, so some of these games might be iPad-only. 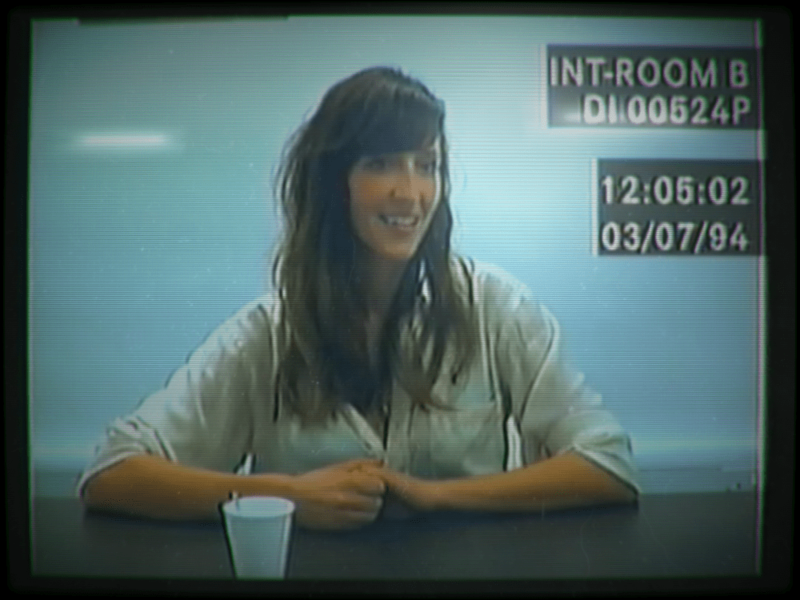 Her Story – It’s probably not much of a surprise to most people, but Sam Barlow’s Her Story is my 2015 game of the year. My only regret is that I didn’t play it cooperatively with a friend. I played ahead of release and couldn’t even talk about it without spoiling the whole thing. It had so many WTF moments that I wish I could have shared with someone while playing. If you haven’t played it yet, I recommend going that route. Still, I managed to make up for it with this huge discussion page on my site. I can honestly say it was the most fun I’ve had on my site, discussing all the possible meanings with others. It also marked a few milestones for me, as it was the reason I went out and bought proper video recording equipment, it sparked my first developer interview ever, and I even bugged some non-gamer real life friends to buy it. Her Story is like nothing else you’ve played, and if you haven’t done so yet, I highly recommend picking it up for the holidays and sharing it with your family. 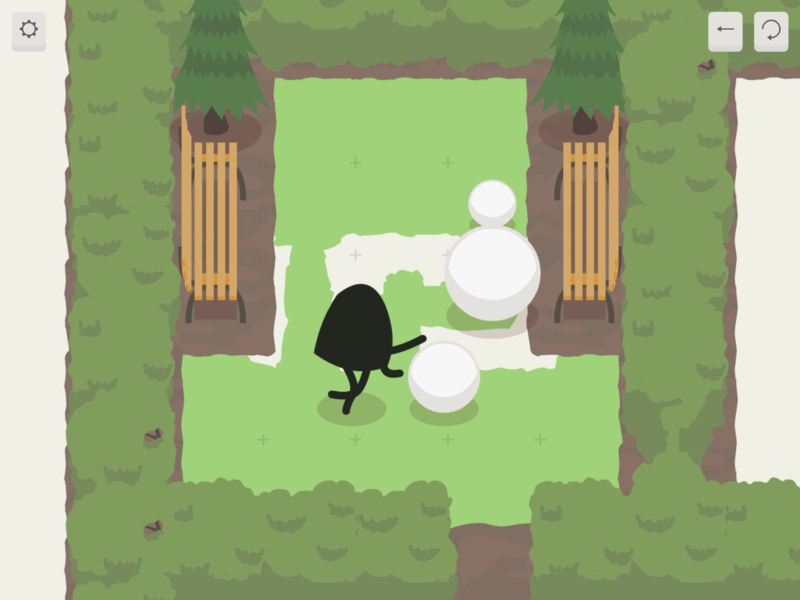 Prune – Joel McDonald’s Prune is basically the perfect mobile game. It has simple touch controls and a straightforward concept, but can often be quite challenging. Both the minimalistic visuals and atmospheric soundtrack are gorgeous. It’s not a terribly long game, but there’s some replay value in seeing how tall you can make your trees or what kinds of interesting ones you can create. 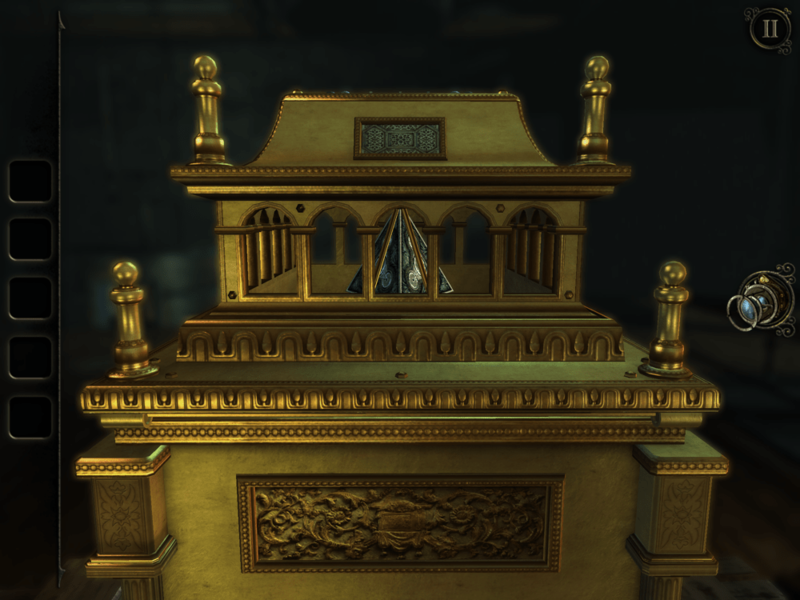 For those who want even more to do after completing the game, there’s some hidden content that’s more obvious since a recent update. Hero Emblems – I started off hating Heatpot’s Hero Emblems a little bit for its lack of in-dungeon saves and all the grinding. Its story and characters could also use some work. But any negatives are far outweighed by the depth of its match-three battle design. I soon grew to love the game because of the difficulty level, not in spite of it. It’s since gotten a casual mode for those who are a bit less masochistic. And quick saves were added to make it a better fit for mobile. You can now quit the game at any point and it will save your spot. While most of the game is turn-based, allowing you to strategize and think about every move, new content was added that’s timed, which will train your mind and fingers to act fast. The only reason I no longer play the game is that I completed all the available content and there’s no endless mode. I’ve said this many times, but if there was an endless arena, I wouldn’t need any other match-threes in my life. It’s that good. The Room Three – Fireproof Games’ The Room series returns with its third installment, which expands on the previous two games. The graphics are more realistic than ever before and you have a huge manor to explore in addition to each chapter. There is also more of a story to it, including multiple alternate endings. While not quite as challenging as the other games, The Room Three is a very accessible game that is easily recommendable to just about anyone. Lara Croft GO – Square Enix Montreal redesigned Tomb Raider for touch screens with turn-based puzzler Lara Croft GO. You swipe to move one node at a time and any traps or animals make a move at the same time. It’s a cerebral game instead of the usual skills-based games you’re used to with Tomb Raider. It could have been a bit more user-friendly with an “undo” button, but otherwise it’s a solid game that shows what’s possible when you work with the strengths of a touchscreen instead of trying to stuff a console game onto an iPhone. A Good Snowman is Hard to Build – Draknek Limited’s Sokoban puzzler A Good Snowman is Hard to Build finally made its way from PC to mobile and it’s a great fit. The controls were redesigned for touch screens and feel natural, but the few times they don’t behave, you have an “undo” button that can fix it. The game oozes character and I loved the soundtrack enough to download it separately. It’s quite a challenging game that gave my brain a good workout from beginning to end. The bonus content is especially tricky, so make sure you don’t miss it! Grayout – If you liked Neven Mrgan’s censorship game Blackbar, make sure to give Grayout a try. It’s a prequel that takes place in the same disturbing Neighborhood and features the same dark humor. I actually liked it more than Blackbar, and found it achieved its goal even more successfully. I decided to scrap the review I was working on and instead turned my thoughts into an interview with Neven Mrgan. If you haven’t played it yet, that should give you a good idea of what you’re in for. If you have played it already, the interview will give you a behind-the-scenes look at the game. 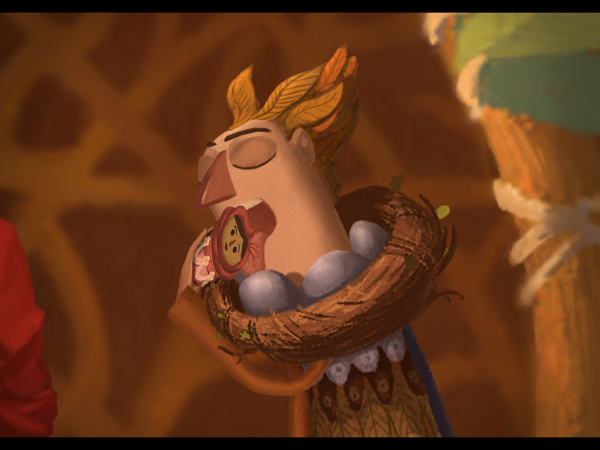 Broken Age – Double Fine Productions completed their charming point-and-click adventure, Broken Age, and I finally had a chance to play through the whole game. I loved the humor, the quirky characters, and how you can switch playing between two different characters if you need a change of scenery. While Act 2 did have a few small issues relating to the puzzles, I still thoroughly enjoyed my time with it. It has exactly what I look for in a P&C and I recommend it to any fans of the genre. Forever Lost Episode 3 – I’ve been playing Glitch Games’ adventure games since they released The Hauntening, a short game they made in forty-eight hours. Their Forever Lost series has earned them a cult following due to their clever puzzles and punny humor, as well as their habit of knocking down the fourth wall. 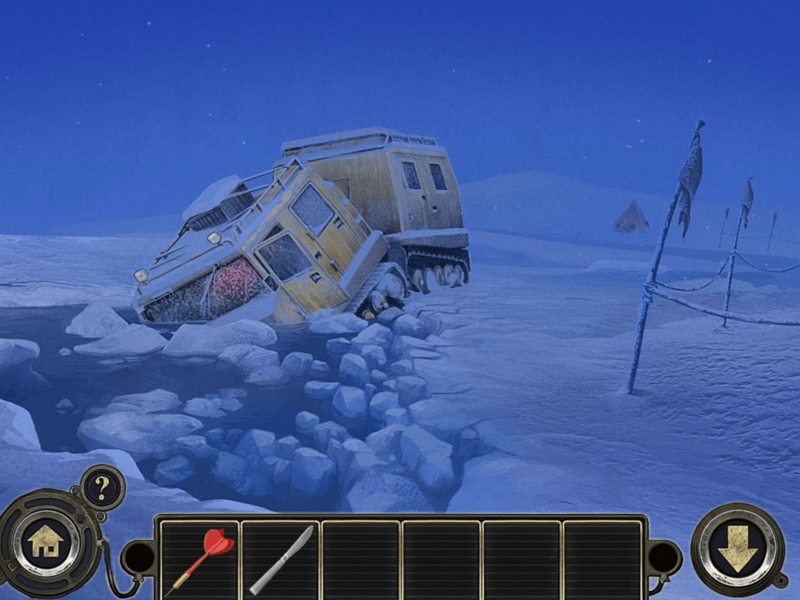 The third episode of Forever Lost brings the game to its conclusion. It’s bigger than the previous two put together and fleshes out the story a lot more. These are games created out of love, and it shows with every little detail. If you haven’t played any of them yet, they’re all on sale at the moment, so give them a try! 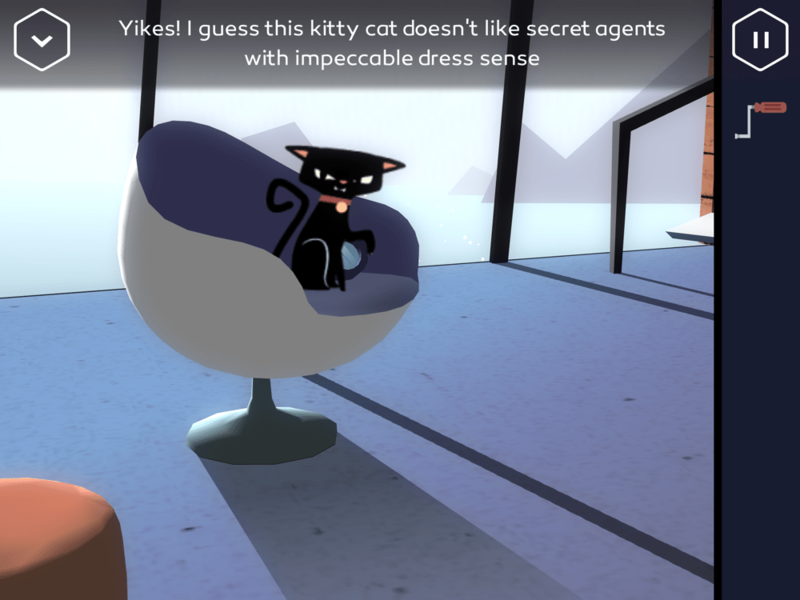 Agent A: A Puzzle in Disguise – Yak & Co have only released part one of their first-person adventure game, Agent A, but what we got so far was stylish, smart and incredibly polished. While I can’t judge the whole game yet, this first part has me really excited for what’s to come. If you don’t mind a temporary cliffhanger, you should definitely give it a go. Dead Synchronicity – Daedalic’s post-apocalyptic game Dead Synchronicity is a dark and depressing one. There isn’t much humor, but the story kept me hooked from beginning to end. Sadly, it’s only the first episode of the game, and there’s no confirmation yet whether the second episode will make it to iOS. But I still recommend playing it, as it’s a very unique experience. Facility 47 – I enjoyed InertiaSoft’s first game, Darkmoor Manor, but found it ended abruptly. Facility 47 has a fully fleshed out story with multiple endings. Also, many of the puzzles are part of the story, so you don’t just feel like you’re doing busy work. Overall, I was pleasantly surprised with it, even though I didn’t have the chance to write a full review. My only gripe is that it’s a paid game and you only get three free hints. There’s no way to earn more in game. If you want more hints, you have to spend money on them or use my walkthrough. SPL-T – Simogo is known for their artsy, story-driven games, so when they released the pixel-art minimalistic endless puzzle game SPL-T, I was intrigued but hesitant to buy it. I finally gave in to the hype and regretted it almost immediately. But I gave it some more time and at some point it just clicked and all made sense. I’m still not a huge fan of the visual direction they took, but the gameplay is addictive once you get the hang of it. I’ve sunk many hours into the game and it’s something that will stay on my phone forever. Go to Gold 2 – Timur Nigmetzianov’s Sokoban puzzler Go to Gold was one of my favorite games of 2014. He’s since returned with a tougher sequel. It’s so tricky, I’ve only completed about half of it so far. But Go to Gold 2 uses a different payment model than the original. You can download and try the game for free, then unlock the rest of it for a one-time in-app purchase of $1.99. If you haven’t played the original, this is also a good introduction to the series. That’s the end of my GOTY list, but there are some more games I think deserve mentioning. You can find links to my reviews below, but no blurbs. There were many other great games this year, but they couldn’t all make my list! If you want to see what other games I recommend, make sure to check out my master list here. And here’s to another great year of games in 2016!